We’ve turned the corner with regard to the really short days, and the evenings are getting noticeably lighter. 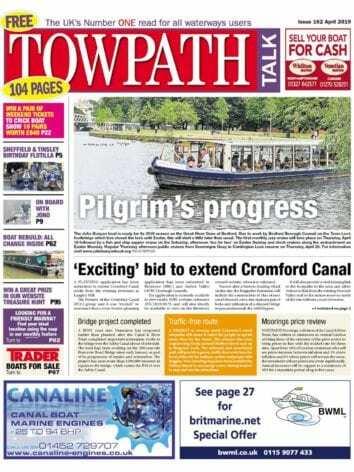 Prepare to welcome February with the latest issue of your favourite waterways publication! 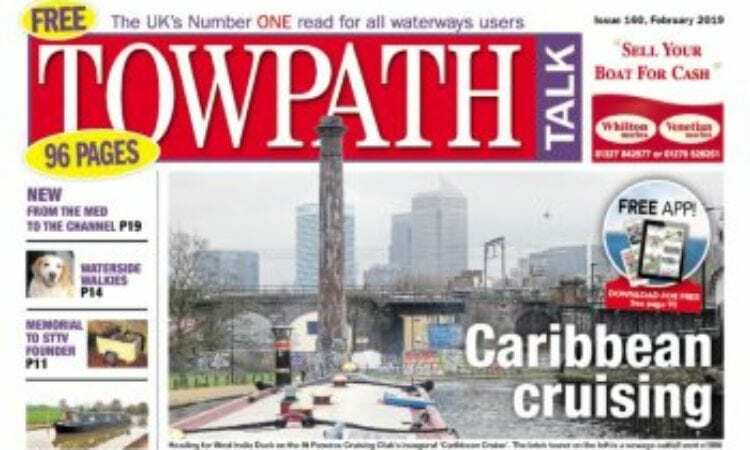 Once again, despite the winter lull Towpath Talk is packed with news, inspirational travel plans and ideas, places to go and things to do. If your new year resolution is to get involved in volunteering, check out the IWA work parties for what’s happening over the next few weeks. Pet owners are especially well catered for this issue, as the two Alisons – Wilkerson and Alderton – sniff out some more canine capers. And don’t miss the eerie tale of Tasha, the elderly shih tzu who seemed to sense a disaster that happened 66 years ago on the Macclesfield Canal involving her owner and his brother… and nearly came to grief herself. Phil Pickin checks out the early signs of spring along the towpath, while the Canal & River Trust outlines its top tips for winter well-being, as you enjoy strolling by the water’s edge. Find out all about Mikron Theatre Company in a rave review of this floating, touring ensemble by Phillippa Greenwood, with photographic accompaniment by Martine O’Callaghan.